Liqutated with these additional natural ingredients: Sunflower Seed Oil, Natural Orange Flavor. Solgar Vitamin D3 Liquid 2500 IU does not contain Sugar, Salt Starch, Corn, Yeast, Soy, Wheat, Dairy Products, Preservatives, Artificial Flavors or colors. Precautions: If you are pregnant, nursing, taking any medication or have a medical condition or have frequent diarrhea, please consult your healthcare practitioner before taking any Solgar Vitamin D3 Liquid 2500 IU supplement. 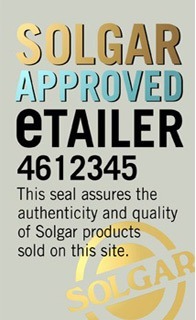 Storage Instructions for Solgar Vitamin D3 Liquid 2500 IU: To assure freshness and potency of this supplement product, store at room temperature 15°-30°C (59°-86°F). Store supplements away from heat, light and moisture. Do not use if neck seal is missing, torn or damaged in any way. As a food supplement for adults, take 0.5 ml (2500 IU) or 1.0 ml (5000 IU) Solgar Vitamin D3 Liquid 2500 IU, daily with juice or water in between meals, or as directed by a healthcare practitioner. Vitamin D is also known as calciferol which dissolves inside the body's fat. This fat-soluble vitamin is found in two major forms, vitamin D2 and vitamin D3. Ergocalciferol or vitamin D2 is mainly a derivative from plants while cholecalciferol or vitamin D3 developed from exposure to sun rays and certain food items. The human body manufactures vitamin D after becoming exposed to sunshine therefore it is sometimes called the "sunshine vitamin". This vitamin may possibly prevent quite a few chronic diseases which comprise of type two diabetes, heart disease, hypertension, osteoporosis. It is vital to your overall well being with the immune technique and prevention of heart disease and keeping the bones and teeth strong. Vitamin D helps in the utilization of calcium and phosphate for bones and teeth. Vitamin D is essential for the control of calcium and phosphorus levels in the blood and helps in their absorption from food. Vitamin D also affects the neuromuscular function, inflammation, and influences the work of several genes that regulate the proliferation, differentiation and apoptosis of cells. Vitamin D is indispensable for proper growth of our body. Deficiency of vitamin D can occur due to inadequate intake of food and not getting an adequate amount of sunlight exposure. Disorders impeding the incorporation of vitamin D from the gastrointestinal tract and circumstances that do not allow the alteration of vitamin D into active metabolites, like liver and kidney disorders. Vitamin D deficiency can cause diseases like Rickets, Osteomalacia and Osteoporosis. Good sources of Vitamin D are Fatty fish like Herring, Salmon, Mackerel, Sardines, Catfish, Tuna, Eel and sources like Fish liver oils, Beef liver, Egg, Mushrooms. Notice: Please remember that all Solgar Vitamin D3 Liquid 2500 IU and other health food supplement products should never replace a varied diet. Supplements should only be seen as a complement to prevent deficiency symptoms and promote general health benefits and well-being, but never as a replacement for healthy eating habits. Safety Note: To avoid side-effects never exceed the daily dosage recommendations for this Vitamin D3 Liquid 2500 IU supplement. Always discuss with your doctor or pharmacist if you are taking prescribed medications before you begin any Vitamin D3 Liquid 2500 IU supplement programs, as interactions and side-effects can sometimes occur. Some medications can also reduce the absorption of Vitamin D3 Liquid 2500 IU supplements. Also keep in mind that food supplements should always be kept out of reach of young children. Disclaimer: The product ingredient description on this page is from the manufacturer and has not been evaluated by VitaminPharmacy.com. This Vitamin D3 Liquid 2500 IU product is not intended to diagnose, treat or cure any disease or medical condition. Vitaminpharmacy.com does not imply any medical claims from the customer reviews on Solgar Vitamin D3 Liquid 2500 IU found on this website.